The South African Human Rights Commission (SAHRC) says all spheres of government, from provincial to municipal level, must account to the people of Alexandra. This comes on the back of violent service delivery protests in the township, north of Johannesburg, over recent weeks. The commission visited the area and vowed to investigate the issues raised by residents. Officials from the City, Co-operative Governance and the office of the Premier will have to appear before the commission. Spokesperson Buang Jones says there is clear evidence that efforts to promote inter-governmental relations have been undermined. Johannesburg Mayor Herman Mashaba has vowed to approach the SAHRC and the Public Protector with alleged evidence that the African National Congress (ANC) has been stoking unrest in the city. This comes on the back of violent service delivery protests in various parts of the city. The Johannesburg Metropolitan Police Department uncovered an ANC branded bakkie in Berea, south of the City. The bakkie was allegedly laden with tyres, which Mashaba believes was destined for use in these protests. “It has been evident over the past two weeks that the recent unrest within the city has been the subject of the ANC hijacking the legitimate concerns of residents in order for to advance their own political ends. 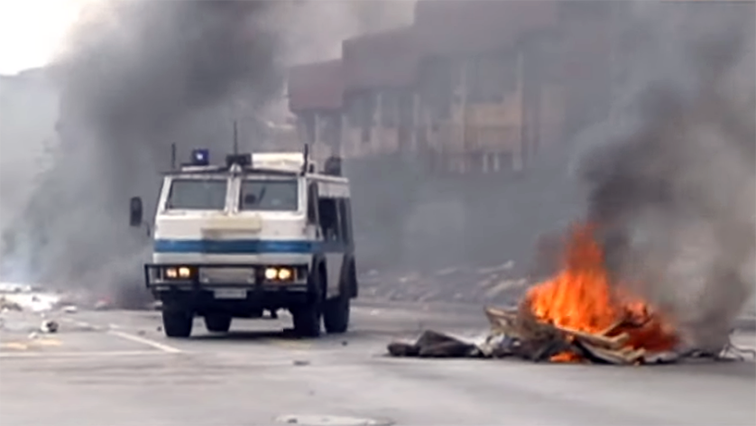 The Executive Mayor will be arranging a meeting with the South African Human Rights Commission and the Public Protector who have both initiated a joint investigation into the recent unrest as has been seen in Alexandra, it is critical that these chapter nine institutions are provided with the evidence they need in order to conduct their investigations,” says Mayoral spokesperson Luyanda Mfeka. The post All spheres of govt must account to Alex residents: SAHRC appeared first on SABC News – Breaking news, special reports, world, business, sport coverage of all South African current events. Africa's news leader..